Are you ready for your dream wedding to be a part of a dream experience? Click on the flyer to register your wedding! 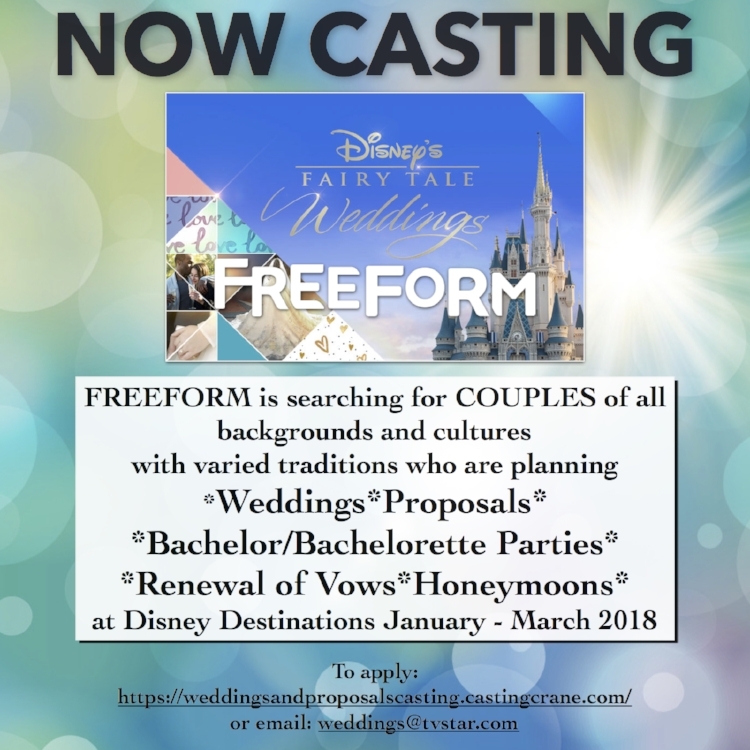 Disney Casting Call: Your Fairytale Wedding on TV?